The rate of innovation has slowed down since the advent of iOS and Android smartphones as we know them today. The market is oversaturated with touchscreen slabs with offer little to no variety in terms of design aside from the occasional notch, camera cutout or the push for slimmer and slimmer bezels. Every new iteration is more about evolution rather than revolution. The first decade of this century though, was totally different. It was then that the quest for the perfect shape and form started as well as the race for turning the mobile phone into a do-all device. In 1999, mobile phones knew little besides making phonecalls and sending short messages. Little did the budding phone makers of the late 90s know that 10 years from then the market, the devices and the consumers were to be drastically different. The seeds were being planted, though, and Nokia was at the forefront or mobile innovation in this period, especially since it enjoyed the confort of its position as market leader. It allowed it to experiment without taking critical hits to their market shares or revenue, since the bulk of its business was in the low and midrange. The end of 2001 saw Ericsson’s exit from the market as an independent brand following its joint venture with Sony. It was a grand exit, too, as they had just launched their magnum opus, the first colour display phone in Europe, the T68. 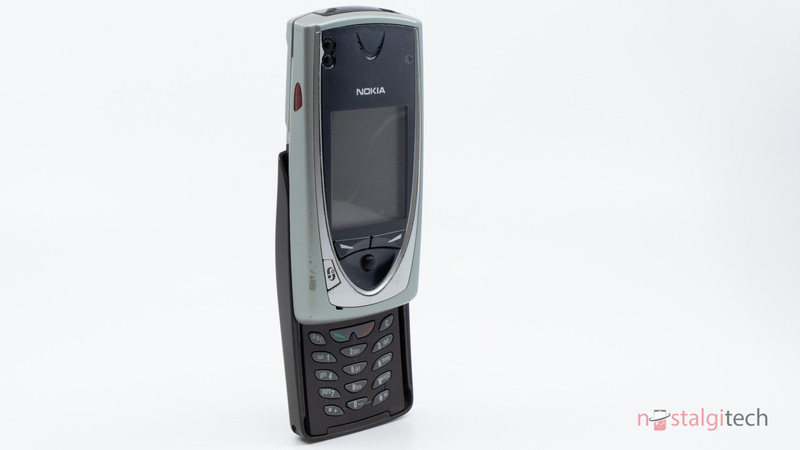 Nokia quickly raised the bar though, by launching a device that was to become truly iconic, the first member of a new generation of devices and a marriage of many firsts for the Finnish company. The 7650 was the first Symbian S60 smartphone, the first European phone with an integrated camera and the first with a huge and high-resolution (at the time) colour display capable of showing up to 4096 colours. The Asian market already had their first camera phone since 2000 when Sharp launched the J-SH04 for J-Phone (now SoftBank Mobile) as well as colour displays even before that, but such advancements were slow to come to the old continent. And now, the dream of seizing the moment and immortalizing it in a digital photo was becoming true for them as well. The new Nokia smartphone was like something from the future to announce that the game was already changing. It had many shortcomings and felt more like a prototype, a market experiment, but it was a successful one and it gave birth to the Nokia and Symbian success story as well as pushed other manufacturers to up their innovation game in order to survive.